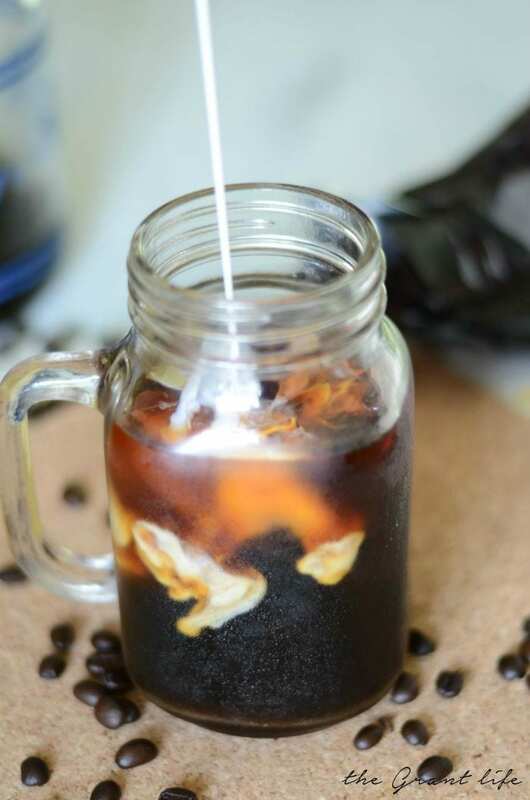 Have coffee ready for you when you wake up with this easy cold brew coffee recipe. Yall. Cold brew coffee. It is literally the best thing since sliced bread. 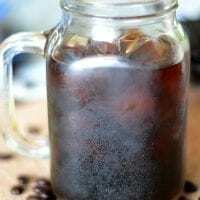 I have been working awhile to get the perfect cold brew coffee recipe just right. I have been trying to make sure it was strong but not too strong. I like my coffee to be smooth with a touch of sweet. I wanted to do a little happy dance when I finally found the perfect water to coffee ratio for the perfect cold brew coffee. I know. You get it. 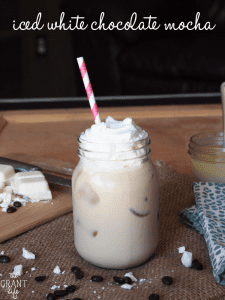 This easy cold brew coffee recipe is perfect. The best thing about this cold brew recipe is that it makes a big pitcher. It brews in the fridge overnight and you strain it out in the morning. So when you stumble out of bed the next morning all you have to do is pour a glass with your favorite creamer and you are good to go. No need to wait for it to brew like tradition coffee. One pitcher lasts me almost two weeks since I’m the only one who drinks it. That means one day of prep and you literally have your morning Joe for two weeks. And if you don’t drink as much cold brew coffee as me, it will last longer. 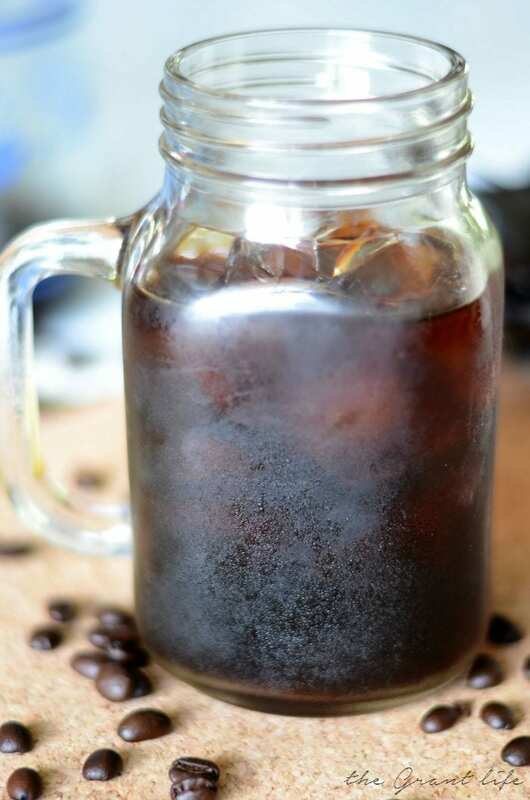 This is always a big question when making cold brew coffee at home – how much coffee to water do you use? And the answer is subjective. It’s whatever strength you prefer. I use a 1 to 4 ratio for my cold brew. That means for every one cup of ground coffee I use 4 cups of water. My recipe below makes 12 cups of cold brew coffee, but if you want to make a smaller batch just remember to use the 1 to 4 ratio. One cup of coffee to four cups of water. And if you want to make an even larger batch the same ratio applies. Also, you can play around with the ratio of coffee to water to find what you like. I tried a bunch of times to find the right balance and this is the one that I enjoy the most. Since I have a pitcher in the fridge of cold brew goodness I normally have a glass for breakfast and one in the afternoon. It’s a great pick me up. Especially when the kids are driving me bananas and I need a second to recollect my thoughts and regain my energy. This easy cold brew coffee recipe to the rescue! Just kidding. My kids are angels and that scene never happens at my house. And when I say never yall know I mean almost every.single.day. Because this parenting this is hard. Avery was being his normally turkey self this past weekend and driving me nuts. He wanted me to hold him, he wanted me to give him a piggy back, he wanted candy, he wanted a drink. He wanted everything, at once, right now. Oh em gee. I wanted to sit down after being in the heat and enjoy the air condition. And then he went in the other room to play. I went to check on him and he was asleep. I’m not sure why but I crawled up next to him and just cried. And prayed I was doing a good job. I asked for patience and strength and for the good Lord to guide me. And I kissed his forehead ten times because it was the first time all day that he wasn’t going a million miles a minute. Yall. This parenting this is tough. The days are long but the years are short when you have kids. It seems like the days drag on but when you look at them for a minute, they are 4 years old and refusing to play soccer. 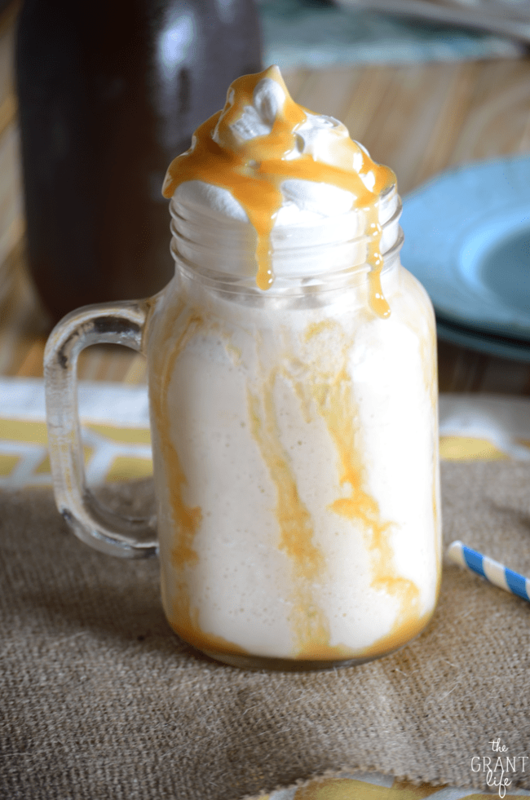 Make a pitcher of this cold brew coffee friends. I promise it helps. Use finely ground coffee. To get the best flavor I suggest using whole beans and grinding it yourself. I like to use an Italian roast or darker so that my coffee is smooth and rich. No need to brew the coffee beforehand – it seeps in the fridge and “brews”. You can put cheesecloth over the mesh sieve to help remove any extra grounds. Mix the coffee and the water together in a large pitcher. Allow to "brew" in your fridge for at least 8 hours. 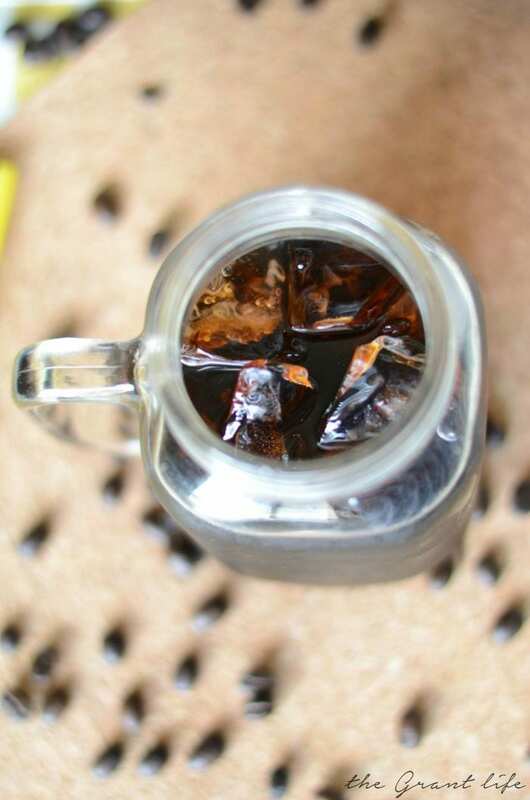 Strain the cold brew coffee into a new pitcher using a mesh sieve removing the coffee grounds from the liquid. Keep in a airtight container in your fridge for up to 2 weeks. And sign up for our email updates! 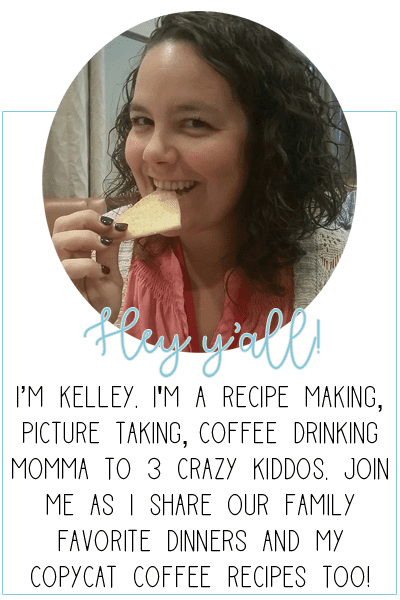 I’ll send you new recipes right to your inbox! This sounds heavenly!! I all about the iced coffee lately since my ‘angels’ (who also never drive me crazy) 😉 are still home all.day.long with summer. HAHA!! Cold brew coffee up mama!! I feel ya! I love this idea and im looking forward to trying it. I just have one question for you. What type of coffee did you use… fine grind or course? Iced coffee is my jam. Like, I am craving it at this very second and I am stuck in my office during tax season taking a mental break via Pinterest. 😉 Wishing I had a a cold crew coffee! Great post — parenting is tough and beautiful and wonderful and hard! Thanks Gabby! 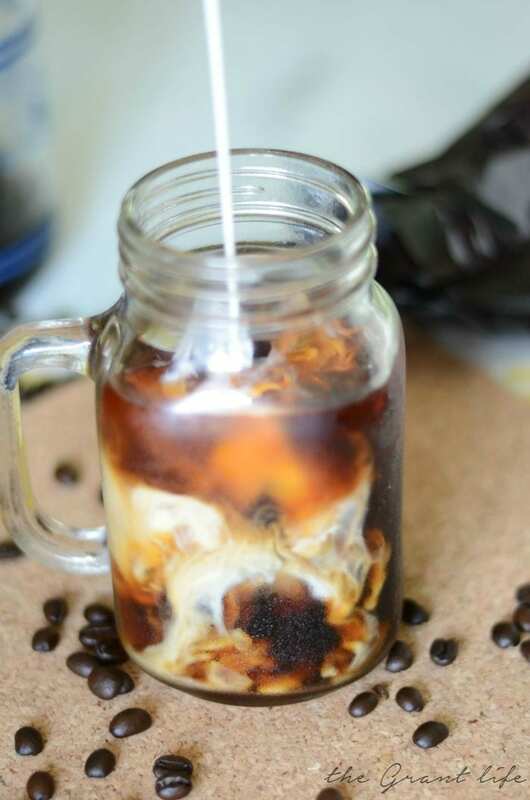 Iced coffee is the BEST! 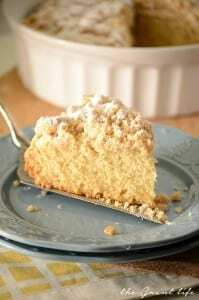 Hi Kelley – thank you for the recipe; I look forward to making this, soon! But more than that, I do want to comment about something you mentioned above about your precious Avery….that was so tender to my heart! You are so very correct; the days ARE long and the years ARE short. God’s blessings as you give your energy and love to your children. Our oldest is celebrating her 25th wedding anniversary tomorrow!! Where did the years go? I would love to have one day, again, to love my children just a little more! 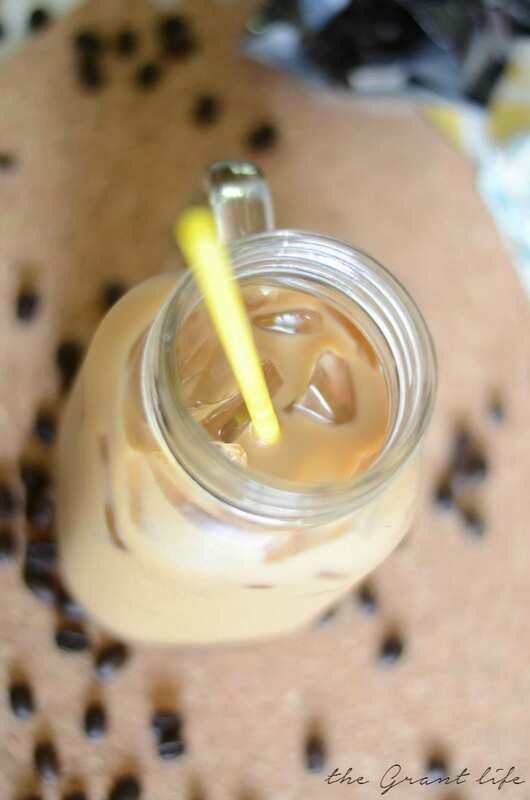 Thanks again for the Iced coffee – even grandmas need the extra energy!! Thank you for the sweet comment Cordelia! I re-read this post and it made me cry all over again! He is now SIX and I still feel the same way. They grow so so fast! What kind of coffee did you use and grind? Every recipe I find doesn’t mention the type they used I am struggling on finding the best flavor or options for cold brew. I normally use a dark Italian roast. When you steep the coffee this way it cuts down on the acidity and it has an amazing rich flavor. I hope that helps!